"This article first appeared in the June 2017 issue of The Growler Magazine." We have a responsibility in the community to support gender equality, I say. 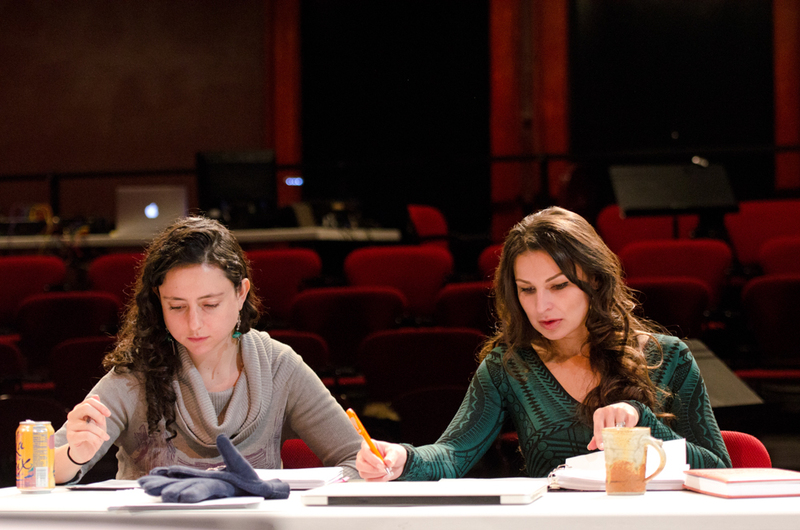 In our theater’s history, only one-fifth of the plays we’ve produced were written by women. I dive in to my research, year by year, and the body language in the room has changed. The moment I say “gender equality,” eyes shift away, bodies lean back, arms cross. The male board member, whose eye-rolling I can almost hear, tells me in no uncertain terms that he would not include a female playwright at the expense of a better male playwright, and that it degrades women to act as if they need help. I’m stunned. The heat rises in my face. I search the room for an ally, and find silence. Since Theatre Unbound began in 1999, they have given opportunities to over 700 female theater artists. In addition to their three seasonal productions, they offer an annual 24-hour play festival with an overwhelmingly female authorship, and are teaming up with Raw Sugar this year to develop comedic scripts as part of their WTF (women/trans/femme) New Play Workshop. Some may argue the problem is with the canon: “King Lear” was written by history’s most renowned playwright, whereas Margaret Edson of “Wit” is relatively unknown. What they might not understand is that the canon is never set in stone: “Wit” was declined by theaters across the country before South Coast Repertory in Costa Mesa, California took a chance on the first-time playwright, sparking acclaim and winning several awards, including the 1999 Pulitzer Prize for Drama. This imbalance of access is reflected in the recognition for dramatic achievement—just 15 of the 86 Pulitzer Prize–winning dramatic plays were written in full or in part by women. It’s not just a matter of getting women into decision-making roles, however. Emily Glassberg Sands tested this theory for gender bias in her doctoral thesis at Princeton. She distributed four scripts among different artistic directors all over the country, changing only the gender of the pen name between two male and two female names. She then asked the artistic directors to rate the scripts along a variety of criteria. She found, incredibly, that female artistic directors were even less likely to produce a “female-written” script than their male counterparts. What accounts for this? Do they subconsciously think that producing a female-written play will pigeonhole them in some way? Do they think selecting a male’s work instead will make them look more “serious”? There are no obvious answers to account for unconscious bias. The solution, in part, is to make that bias a conscious factor in the decision-making process. Take for example The Playwrights’ Center, which supports over 1,800 playwrights across the globe through its membership, fellowship, and education programs. They also develop new works through their Core Writer program and offer fellowships through the McKnight and Jerome foundations, totaling more than $325,000 each year. “This season, 70 percent of the fellows are women, 60 percent of the writers in our Core Writer program are women,” Hayley says. “These numbers are significantly higher than the number of women playwrights being produced in this country.” Just this spring, The Playwrights’ Center announced the incoming Jerome and Many Voices fellows, of which six out of seven playwrights are women. Back at my theater, the conversation has continued—most notably with my male counterpart. He has encouraged finding ways to include more female playwrights, and we have begun work on a female-centric festival of one-acts for the fall.